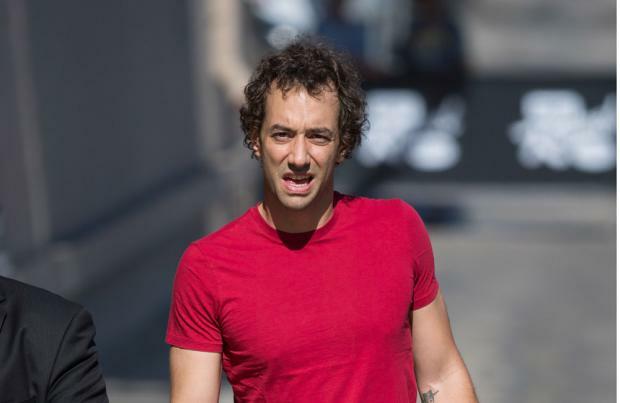 Albert Hammond Jr. says The Strokes will never "split up". The 'Last Nite' hitmakers - who formed in 1998 - haven't released new music since 2013's 'Comedown Machine', and while it doesn't look likely that there will be any new songs from the US rock band anytime soon, the band's keyboardist and songwriter says they have no plans to dissolve. Asked if it's likely he won't work with the band - also comprised of Julian Casablancas, Nick Valensi, Nikolai Fraiture and Fabrizio Moretti - with his solo career doing so well, he told the Metro newspaper: "Definitely not, in fact, the bigger were I to get, the more likely they would be to both exist. "I know The Strokes will be a band, whatever. "I don't think we'd ever say we've split up because we've been together too long to do that." Last year, Albert's father claimed that the group had been back in the studio recording their sixth studio LP with producer Rick Rubin. The band denied it at the time, and frontman Julian later took the opportunity to shoot down rumours and admitted he was "focused" on his other project The Voidz. He said: "I'm really focused on The Voidz right now. Some new stuff will come out soon. With The Strokes, I don't know - there's no news right now." Albert released his fourth solo record 'Francis Trouble' in March. Whilst Julian's band dropped 'Virtue' - their second record - the same month. Meanwhile, Julian previously admitted he wasn't sure if fans of The Strokes would embrace the latest record from The Voidz. He said: "If you're interested in the evolution of music, then I'd say yes, definitely. If you want to listen to mainstream indie rock, maybe not. "I don't understand some of those people from the old school who grew up loving The Strokes and are now criticising this new exploration."